Here I will explain how to solve the problem the operation could not be completed invalid formatetc structure during the time of working with Ajax AsyncFileUpload control in asp.net. In previous post I explained Ajax AsyncFileUpload control example in asp.net. During working with that one suddenly I got error like “the operation could not be completed invalid formatetc structure”. Actually we will get this problem in many situations based on application. To solve this problem we have different ways. Please check below methods to solve the problem. Once your project cleaned successfully then right click on your project and select “Rebuild” or “Build” and try it will solve your problem. 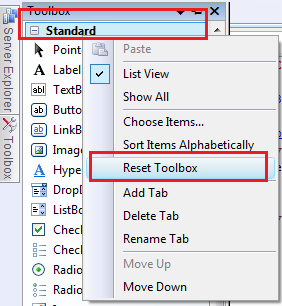 If you are using old version of Ajax control toolkit remove all the references and try to use latest one.